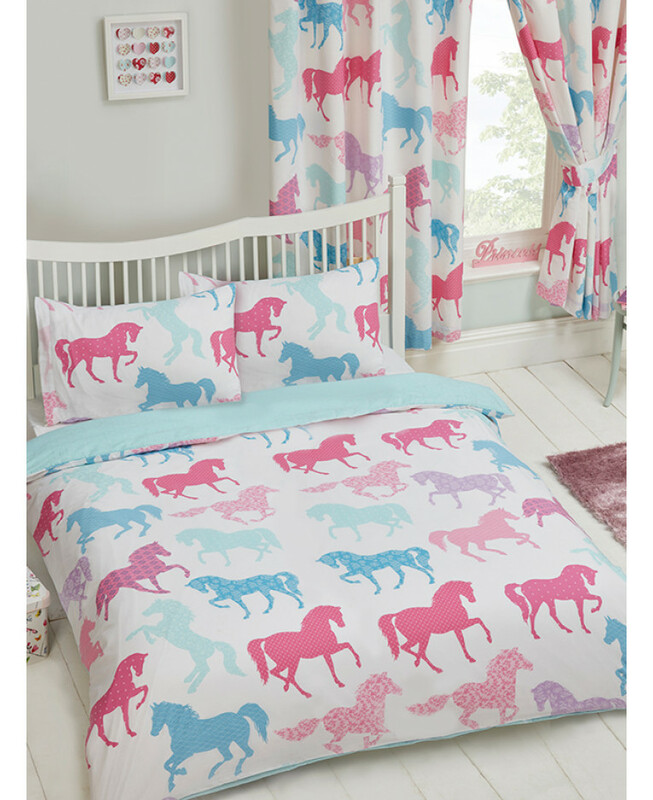 The Patchwork Ponies Double Duvet Cover and Pillowcase Set offers a stylish and colourful finishing touch to your little ones bedroom. 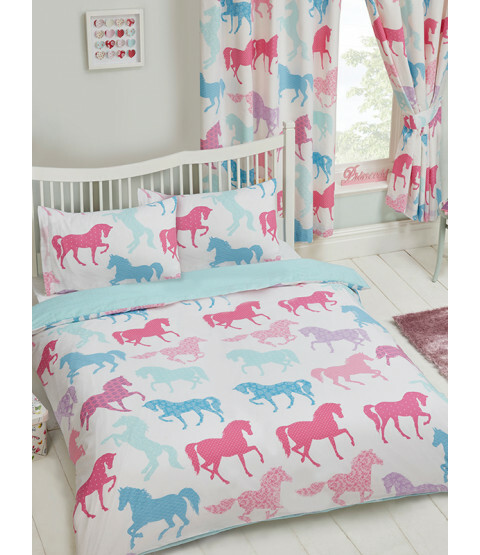 The design features a collection of ponies with different patchwork style patterns in pretty tones of purple, pink and blue on a white background, with a pale blue and white polka dot design on the reverse. Made from Easycare material, the polycotton bedding set is suitable for machine washing and tumble drying on a low setting. Matching curtains are also available to complete the look.